Hi! 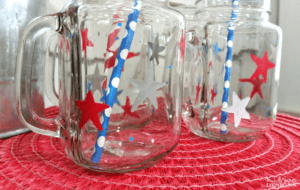 Welcome to the June Movie Monday Challenge. This month is all about wedding movies. We didn’t have a specific movie to choose from this month. We were able to pick our own as long as it was a wedding movie. 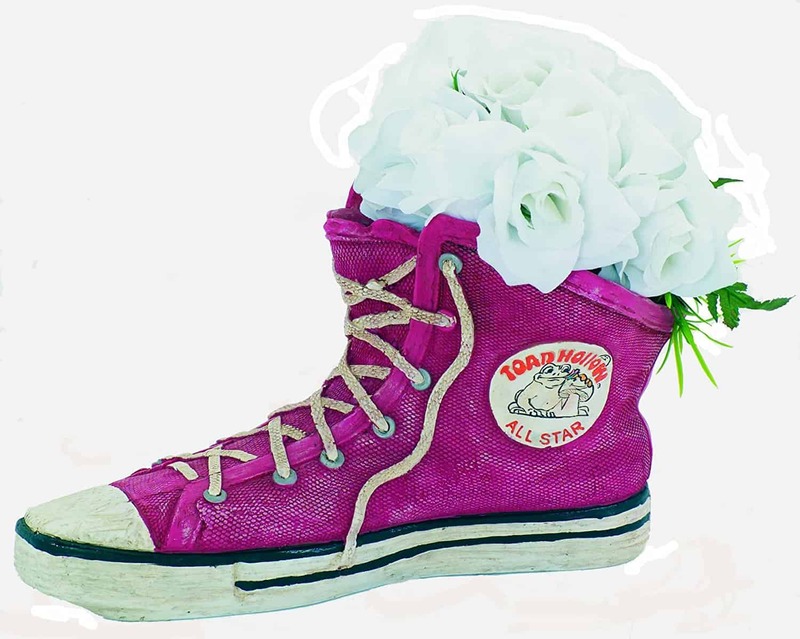 I chose Runaway Bride with Julia Roberts and Richard Gere and created a tennis shoe flower planter. I think it is adorable but my husband thinks otherwise. 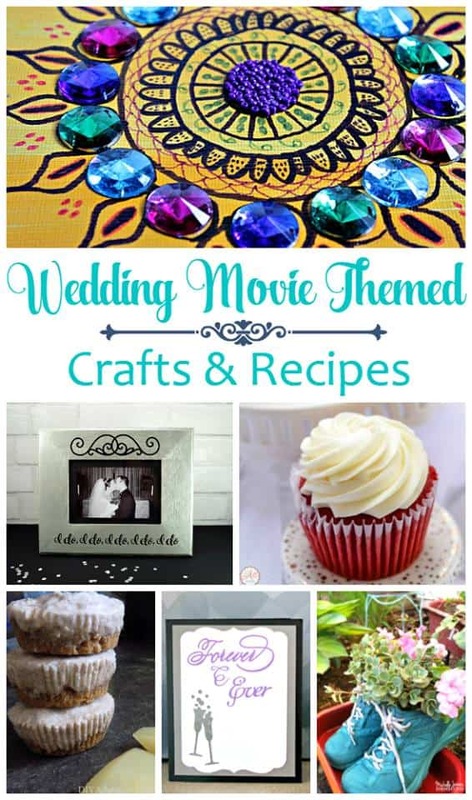 Each month a group of bloggers and I are challenged to come up with a recipe, craft, home decor or DIY project that is inspired by the movie. 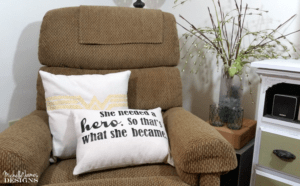 Last month our movie was Wonder Woman and I made throw pillows. I still have them in my living room. In April I created some Star Wars printables to mark the 40th anniversary of Star Wars A New Hope. This is such a fun challenge for me. It combines my love for movies and my love for crafting. What could be better? We were able to choose our own wedding movie for June. There are many to choose from and my top choices were The Runaway Bride and The Wedding Planner. Obviously I chose The Runaway Bride. Have you seen it? Julia Roberts is nick named “the runaway bride” from a reporter (Richard Gere). He heads over to her fourth attempt at a wedding to see if she will run again. You all know he falls for her and ….I don’t want to give away the ending just in case! This project was super easy and I had most of the materials already. I bet you do too. 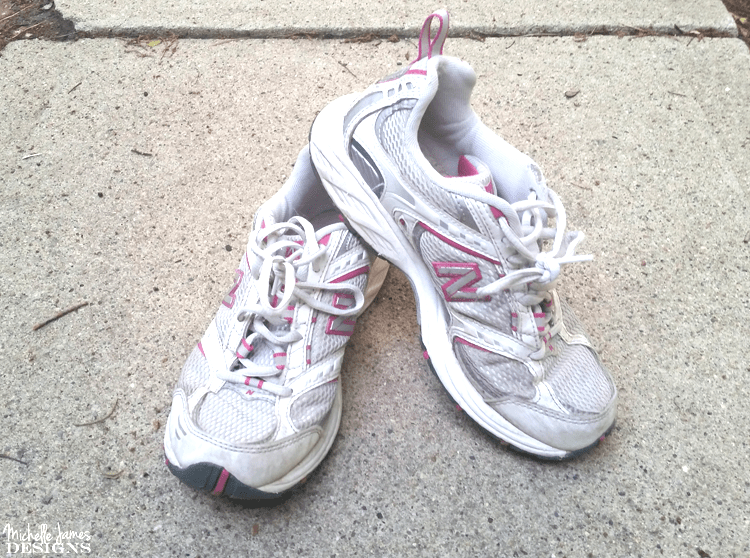 This is what my shoes looked like before I started. I have had them for years and years and no longer wear them so it was okay to give them some paint. 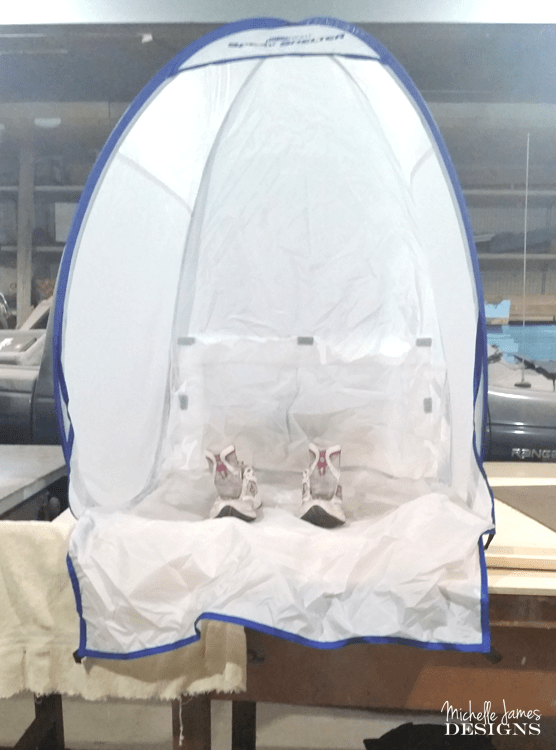 I removed the laces then got to spraying and I used my handy spray shelter from HomeRight for the first time and it was really nice. It is still set up in the garage and I have used it several times since. I love this thing. After the paint was dry I used the Spray Wax to give them a finish. When that was dry I replaced the laces. Then it was time for the fun part. 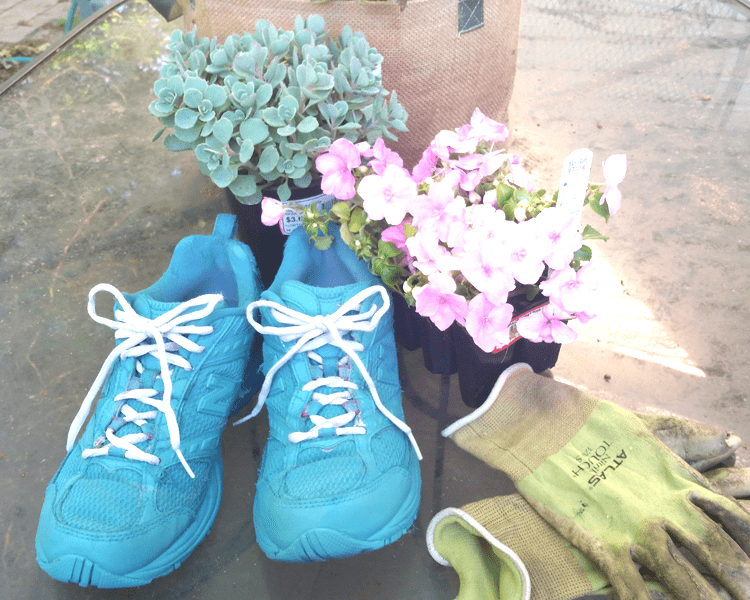 Some plastic bags were placed in the toes then I planted the succulent and the impatiens right into the shoes. They are mesh so there is plenty of drainage. It was little tight so we shall see how they do. I can always replant these guys into larger containers and get something smaller to fit in the shoes if needed. I brought out the mini-wagon I finished from the Silhouette challenge and I think it is perfect. 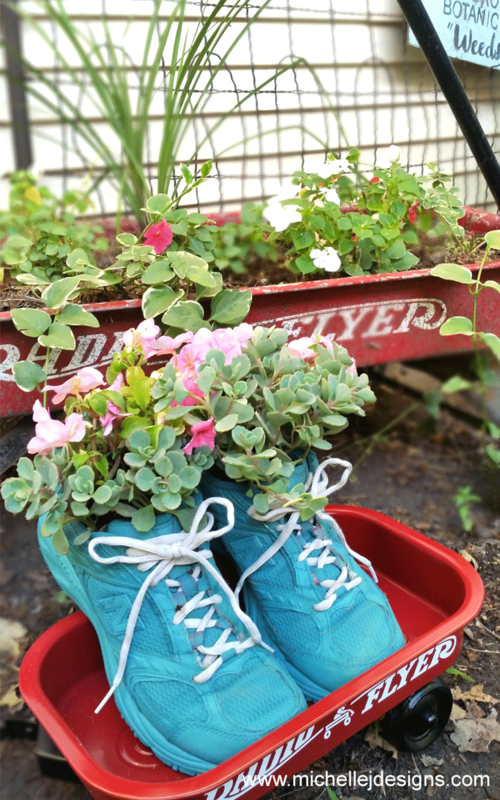 What do you think of my tennis shoe flower planter? I know it is a little odd, but you know what? I like it! If you like it…don’t forget to pin it! 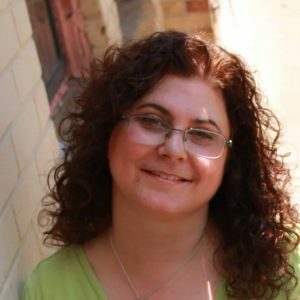 Be sure to check out the other movie projects from my friends. It is so fun to see what everyone comes up with. Don’t Want To DIY But Still Want This Look? Here Are A Few Products! 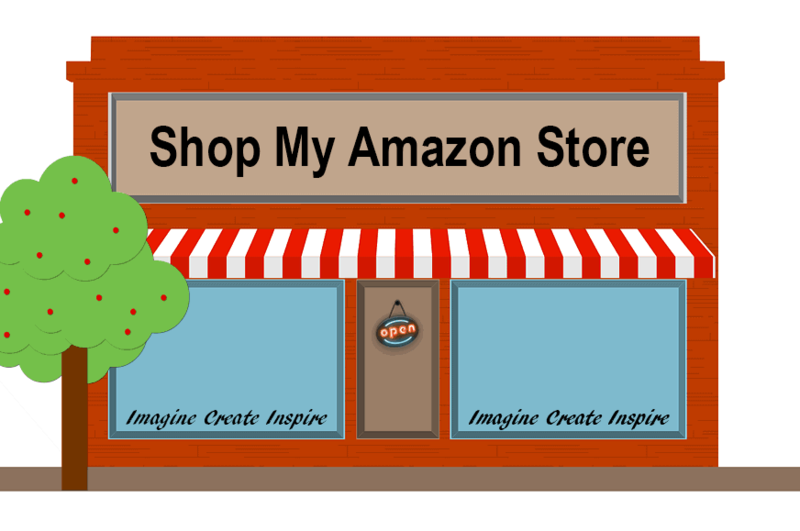 Be sure to check out my Amazon Store. You will find some of the DIY products I use the most (the HomeRight sprayer and and the spray tent are both included) plus other products that I love and the journals and notebooks I design. 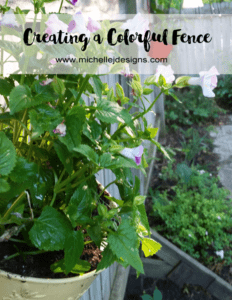 Such a cute project Michelle! 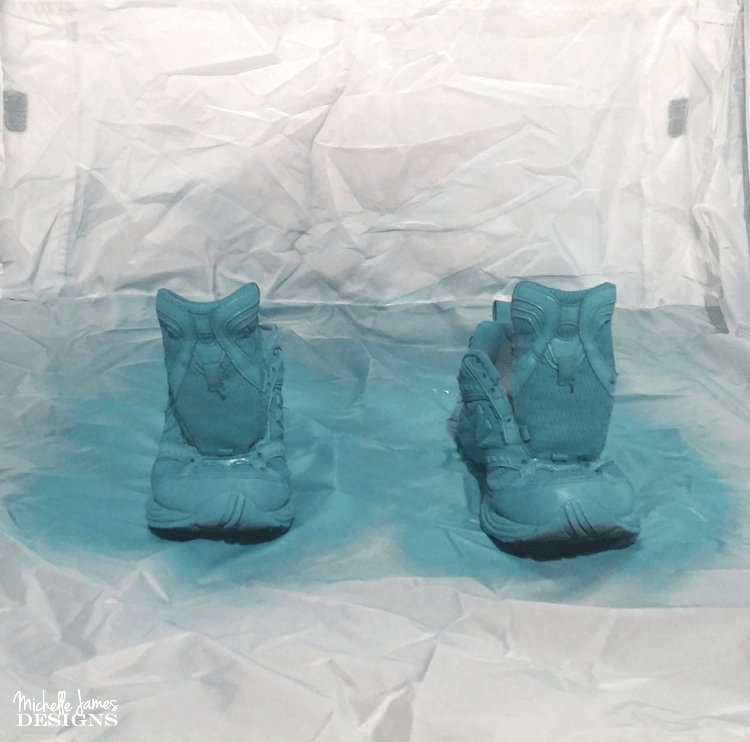 Love that you painted the sneakers blue. so pretty! Haha! It was fun. I wasn’t sure what to do with them after they were painted but they look good in my little flower garden. Thanks! These really crack me up! I think they look really cute as planters. What do husbands know anyway, lol? Thanks Marie! I agree, what DO husbands know? I am glad you think they are cute! Well that is just adorable! 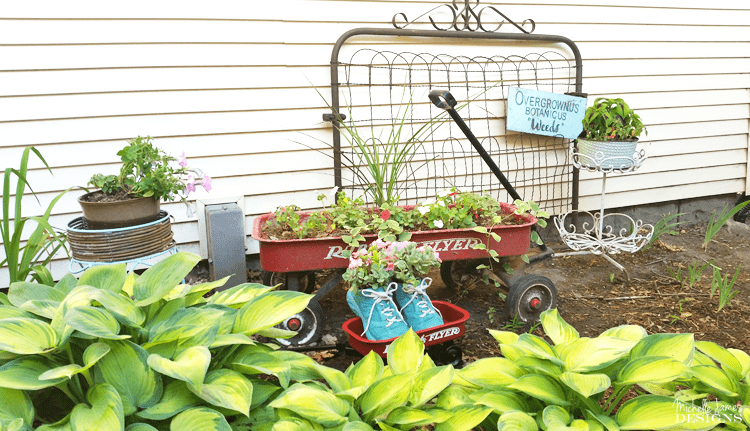 I love the idea of tennis shoes for Runaway Bride, and using them as planters is genius!! Thank you Megan! It was a fun challenge! 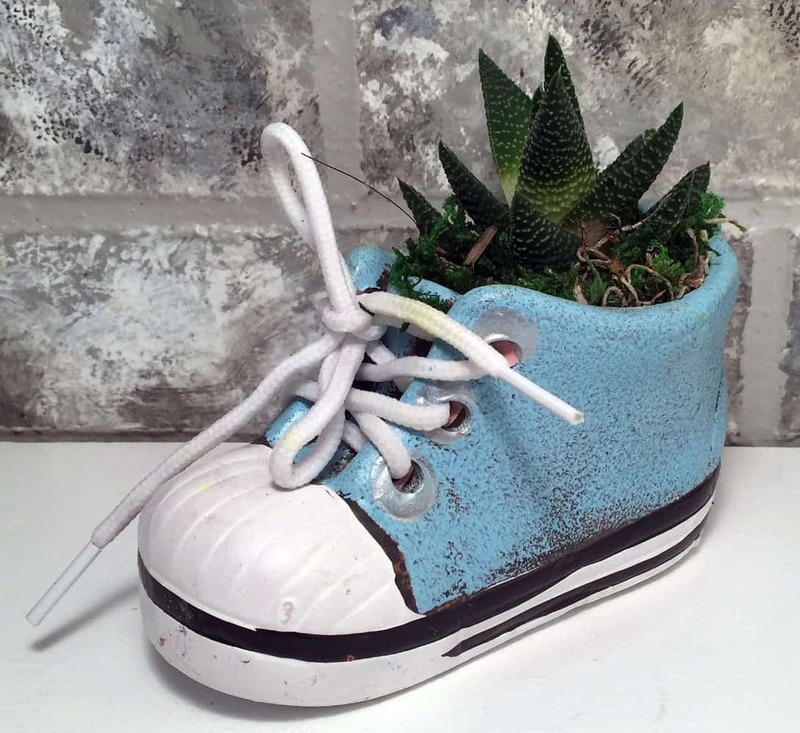 These sneaker planters made me smile! I love the color you painted them! What a super cute idea! I love that they made you smile. So far they are holding up well. I really do like them and they fit in well with the rest of the little garden area. Thanks for stopping by! 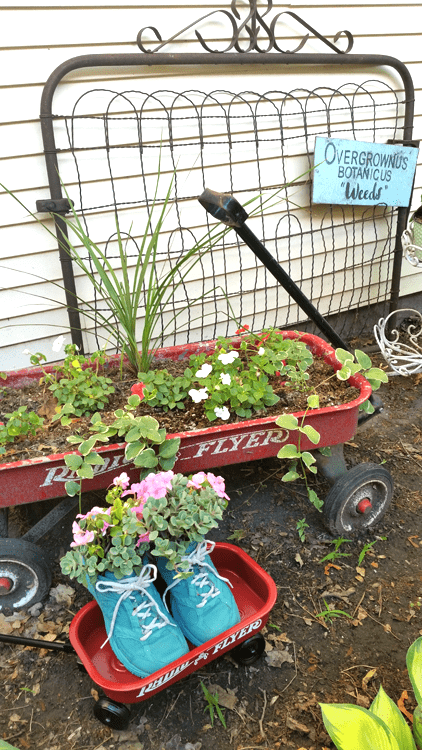 I love your planter. 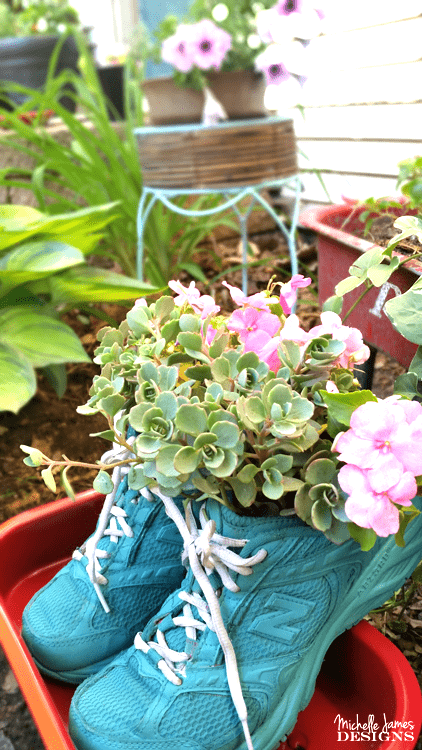 I’ve seen old hiking boots filled with succulents so why not tennis shoes? As an aside Runaway Bride was filmed in the town of berlin, maryland, about 30 minutes away from where I live. the town has enjoyed a renaissance since the movie was filmed. Hi Lydia. Thanks so much. It is fun that you live so close to where it was filmed. It was a fun project. I have never painted shoes before. LOL! That’s so cute. 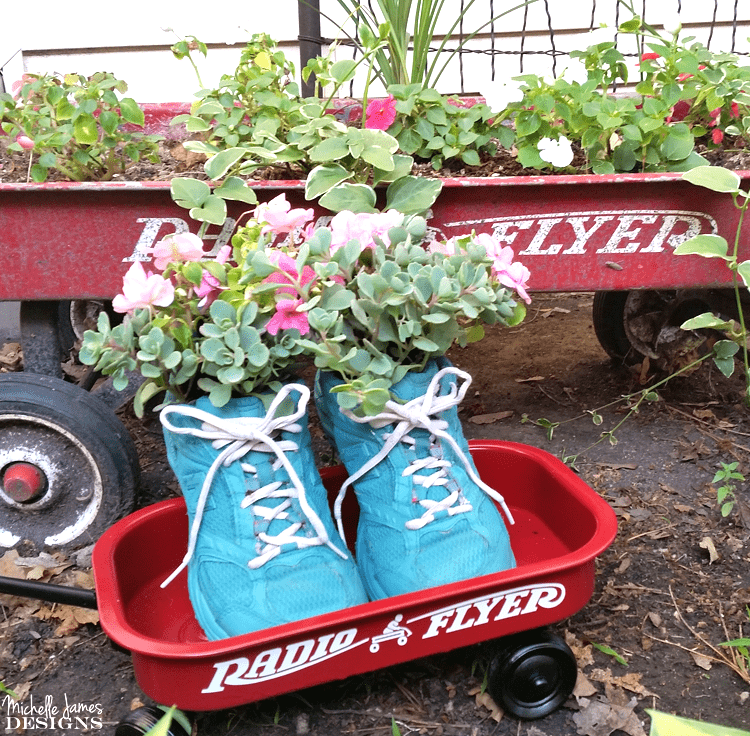 I love the color you chose Michelle and what a great way to re-purpose well loved tennis shoes. Thanks so much. It still looks nice in my garden and the plants are even still alive! runaway bride tennis shoes title grabbed my attention. I want to be like you and make something or back or cook something when i do posts about movies. 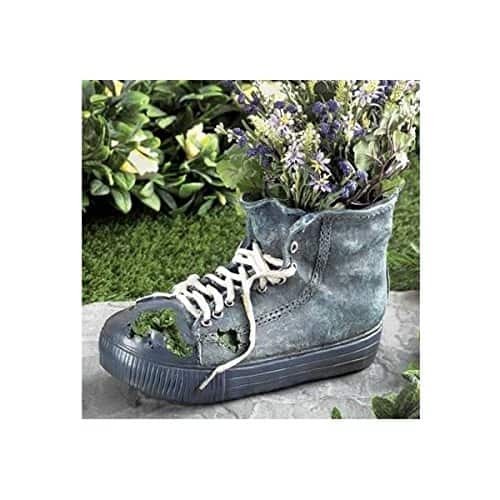 the shoes are adorable and like a gardener left their old shoes and over time flowers grew in them. I am glad the title grabbed your attention and that you like my flower shoes! They are pretty fun!